The inconsistency lies to the fact that despite both regulations state 77 hours minimum work, this will lead to 91 hours MAX work per any 7-day period (This will be the result 7 x 24 = 168 minus 77 hrs of rest = 91 hours of work). Unfortunately MLC States 72 hours MAX work in any 7 day period. An obvious observation of the above that in order to fully comply with BOTH STCW and MLC plus minimising the liability of false record keeping you need to keep records of hours of rest ONLY ! Officially Register REST hours ONLY ! Ensure proper guidance is provided to the vessels with respect to record keeping and ensure that ALL crew is NOT working MORE than 91 hours in any given 7-day or week to make it more simple. Ensure Seafarer Employment Agreement do NOT violate the max of 91 hours per week work and that the overtime provided to the crew is in line with that. Employ Software to monitor Rest hours and ask copies of completed records for review at the office. Case 1 : Hours of rest may be minimised to 70 hours in any 7-day period, provided that exceptions from the weekly rest period shall not be allowed for more than two consecutive weeks. The intervals between two periods of exceptions on board shall not be less than twice the duration of the exception. Case 2 : Hours of rest may be split into no more than three periods, one of which shall be at least 6 hours in length and neither of the other two periods shall be less than one hour in length, provided that the intervals between consecutive periods of rest shall not exceed 14 hours and that the exceptions shall not extend beyond two 24-hour periods in any 7-day period. What does “Parties may allow exceptions” means in real life ? Here the “parties may allow” mean “Flags may allow..” in the form of written guidance, so check with your flag. How is a vessel eligible to these exemptions? Normally an entry into official ship’s log should be enough to cover any sort of problem against a Port State Control examination. Check if vessel’s flag allows for the 77 hours to shift to 70 hours. Provide exact guidance and worked examples to the vessel for the implementation and the record keeping of rest hours. Ask masters to make an entry into log book for the split of rest periods to 3 MAX per 24 hours a minimum of 24 hours in advance of a scheduled drill. This will minimise the technical deficiencies observed in the rest hours record keeping at the date of the drill (normally Saturday). In Latin there is the expression: “dura lex sed lex” meaning “the law is harsh, but it is the law“. As it is clear from the above there is no assistance provided to adjust for any possible violation which we all understand is part of the routine operations on an ocean going ship with 15-25 persons (if not less) crew. The BEST PRACTICE to be implemented in order to demonstrate full compliance with the rule is to monitor and record the AGERAGE REST HOURS as a KPI on a routine basis (per week or any 7 day period) for every vessel in a fleet on a monthly, quarterly and annual basis. Comparisons and summaries may be presented for fleets and companywide overall figures. There is no need to understand that if a fleet average is 77 hours there is a serious problem and that in case the KPI is safely away from the 77 hour average (say it is above 85 or even 90 hours per week average rest) you are on the right track! 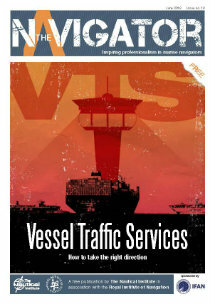 The article is written by Apostolos Belokas and has been initially published in SAFETY4SEA. Apostolos Belokas is a Maritime QHSE expert with 20 year background in shipping acting as a Technical, Marine, Safety & Training Superintendent, Consultant, Trainer and Project Manager. Apostolos has co-founded SQE Marine Group back in 1998, while he is the founder and Managing editor of Safety4Sea.com from 2010 onwards where he frequently blogs. SAFETY4SEA is a pro bono concept to raise Maritime QHSE Awareness.